Dependable Service. Financial Stability. Underwriting Flexibility. 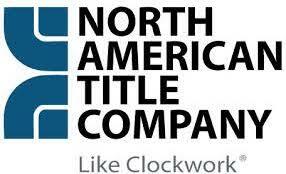 North American Title Company is among the largest real estate settlement service providers in the United States, offering its customers a unique blend of personal and dependable service, combined with the unsurpassed financial strength and stability of its S&P 500 parent company. Consisting of both agent and underwriter operations, we assist lenders, real estate agents, builders and commercial investors with every type of real estate transaction through our army of skilled underwriters, seasoned attorneys, and highly-trained closers and escrow providers coast to coast. For an overview of our products and services, we invite you to navigate our national site. For information specific to our Florida locations below, please click the red button.